When: May 25 at 6:35 p.m. The Syracuse Chiefs will take on the Charlotte Knights. Get your tickets online at syracusechiefs.com and enter WCNY in the promo code area to receive $2 off each ticket purchased! Watch the new two-part Ken Burns film, Jackie Robinson, which chronicles the life of Robinson including his fight for equality on and off the field. 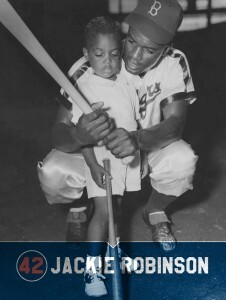 Jackie Robinson is a production of Florentine Films and WETA Washington, D.C. in association with Major League Baseball. Funding is provided by Bank of America, PBS, CPB, The Arthur Vining Davis Foundations, Dalio Foundation, Mr. Jack C. Taylor, and members of The Better Angels Society including Jessica & John Fullerton and John & Catherine Debs.